For a small business, tracking down new leads takes an enormous drag on resources. This problem is compounded if the business has a habit of losing customers, as more time is spent accounting for this customer churn. At times, this process can feel like running in place and can even cause damage to your small business. Customer churn is simply when a customer stops their relationship with a company. 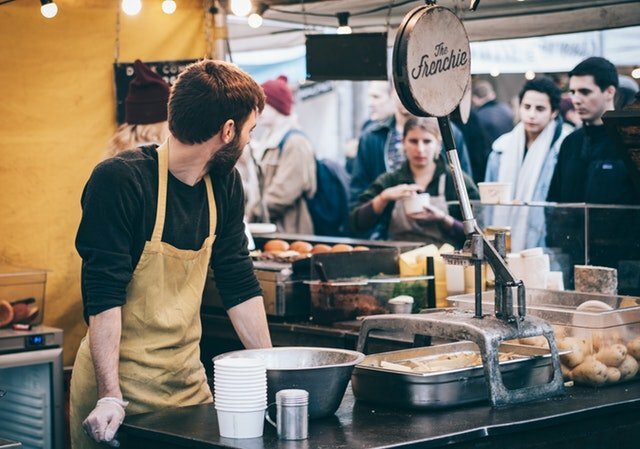 High levels of customer churn can harm your small business because you’ll need to invest more time and money to replace those churned customers. Research has shown that it’s vastly more expensive to find new leads than it is to retain existing customers. A Harvard Business Review report found that it costs five to 25 times more to acquire new customers than it does to retain current ones. The same report cites research by Bain and Company, which found that companies who decreased their customer churn rate by 5% increased their profits by 25% to 95%. The evidence shows that you should prioritize your current customer base in order to stop customer churn from negatively impacting your business. While not all your customers will end up being the right fit for your services, your should at least make sure that you’ve provided the best customer relations possible. Read on to find some tips to evaluate your current customer satisfaction and stop those customers from churning. First impressions matter and this is doubly true for a small business. Customers need to instantly know what you will or won’t be able to deliver. Promising too much at the start of a business relationship can be just as damaging as not promising enough.This creates unrealistic expectations that may come to damage your business’ reputation in the long term. To establish a winning first impression, your business will need to create a standard protocol that includes the details of the relationship with your customer. Be honest during this phase and don’t worry about disappointing a customer. There’s nothing wrong with transparency, plus this initial agreement helps you find which customers are a good fit. Steady communication between your business and customers help solidify the relationship. This could include educating customers about new features and information on how they can optimize your product. Consistent and valuable communication also helps establish personal connections that develop loyalty among customers, since it shows that you care about their experience. Keeping in contact with customers doesn’t mean being their best pal or emailing them every day. Some businesses dislike that just as much as being ignored. But just being a memorable presence allows customers the comfort of knowing that you’re around to help if an issue should arise. .
By now, the story of Steve Job’s removal in 1985 by the Board of Directors at Apple is a well-known cautionary tale. By 1997, the company was a sinking ship and decided to bring Jobs back on board because they understood that his skills as a business visionary were indispensable to the company. In the same way, your small business needs to be an indispensable force for your customers. Ask yourself the following question: What does my company offer that other companies don’t? The answer needs to be important enough so that your customers have more to lose if they leave. If you can’t answer this question, then what will compel your customers to stick with you? To become indispensable, you’ll need to be honest about your company’s weaknesses and create steps to find what makes you truly unique. Measuring customer satisfaction is key to reducing customer churn. Exit surveys have become a common tool to find out why a customer decided to end the relationship. While exit surveys should be used, the problem is that the customer is already out the door. Better yet, you can issue surveys throughout the customer relationship. This way, you can prevent churn by focusing on the specific issues that cause customers to jump ship. To fully utilize your surveys, record the responses with a recording service such as Recordator, which saves your calls as downloadable MP3 files. With the recordings, you’ll be able to discover consistent patterns related customer satisfaction and adjust your services appropriately. It isn’t enough to simply learn why a customer isn’t happy. You need to do something about it. Your business should next create a process for addressing any customer relation blind spots. The process should involve your entire team and have a specific and clear protocol for your business to carry out. This ensures that you stay in front of the problem of customer dissatisfaction and stop churn in its tracks. Reducing customer churn isn’t an easy task. It takes time, energy and a clear strategy to provide excellent customer relations and create loyalty between you and your customers. But getting ahead of the problem, realizing your small business’ weaknesses and instituting necessary changes ensures that your services stay essential. Once you’ve instituted a system for retaining your customers, you can then spend less valuable time and money chasing down new leads.